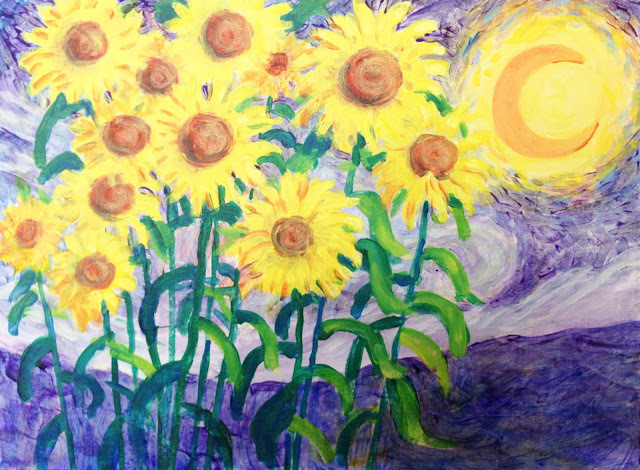 I will be teaching "Starry Sunflowers" at Perspectives Art Gallery in Historic Ellicott City on March 11th, from 6 to 9pm. Tickets are only $36, and includes all art materials, instructions, food and wine. The gallery is at 8191 Main Street, Historic Ellicott City, Md. Purchase tickets here. This class has just a few seats remaining, reserve your seats now!